Tom Barney temporarily replaced Marcus Miller, and John Scofield was called in to assist Mike Stern. 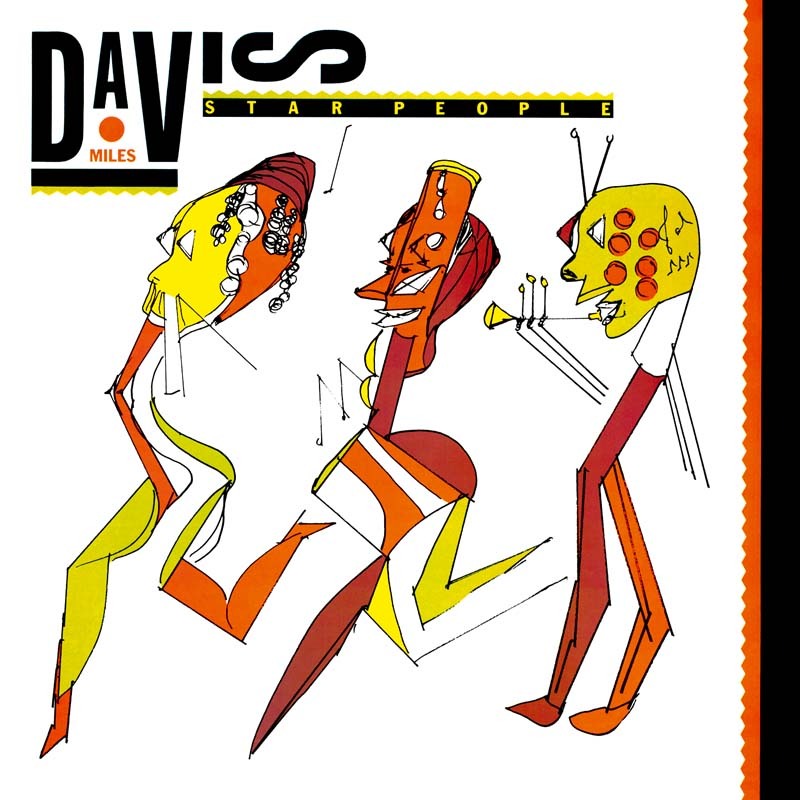 A simple bass riff conveys the jam session spirit of “Come Get It.” But the two guitarists (and the discrete presence of Gil Evans in the recording booth) directed the music toward the angular and virtuoso melodic abstraction of chromatic funk. Gil Evans often took the melodic lines—developed but not reduced to the coupletrefrain schemas of pop—from the sessions’ solos, listening to them again in the evening, and choosing excerpts to transcribe for the guitar and saxophone. Thus, “Star On Cicely” was borrowed from Mike Stern, and “Speak” and “It Gets Better” from John Scofield. This last one is not far from Miles’ return to the blues in his repertoire, as his part in “It Gets Better” shows. This is the last time Teo Macero was producer, and the first time Miles’ drawings were used for the cover of the album.